Road safety advocates fear officials are "putting the cart before the horse"
As restrictions on marijuana use slacken nationwide, road safety advocates are calling for more research to determine how to regulate drugged drivers. Marijuana is decriminalized in 16 states and Washington D.C.; medical marijuana is legal in 23 states and Washington D.C.; and Washington state and Colorado permit adult recreational marijuana use. Several other states, including Pennsylvania, have legislation in the works to legalize the drug on some level. However, some fear that officials don't know enough about marijuana's effects when driving in order to keep roads safe from drugged drivers. "We know almost nothing about how [pot] affects driver performance at different concentrations in people's bodies," said Jake Nelson, director of traffic safety, advocacy and research for AAA. "Does it matter if you consume a lot or a little? How quickly does the substance dissipate or break down in the body? We don't know anything that we would like to know before we start to pass laws." Existing research yields mixed results on marijuana's effect on driving performance. According to Jonathan Adkins, executive director of the Governors Highway Safety Association, marijuana can slow the ability to make decisions and decrease peripheral vision, causing motorists to drive slowly and less aggressively. However, an early 2014 study of fatal crash statistics in six states found marijuana was a factor in 12 percent of fatal crashes in 2010, a six percent increase from 1999. The study's authors also found that drivers under the influence of marijuana and alcohol are 24 times more likely to die in a crash than a sober driver, while drivers under the influence of alcohol alone are 13 times more likely. According to the National Conference of State Legislatures, some states have set a threshold similar to blood-alcohol content. It determines marijuana impairment by measuring the amount of THC, the active ingredient in cannabis, in the blood. Still, the thresholds only identify the amount of THC in the bloodstream – not the level of impairment for each person, making research even more essential, according to advocates. The National Highway Traffic Safety Administration is completing the first study of crash risks for drugged drivers versus sober drivers, to "understand the effects of drugs other than alcohol on safe driving and their role in crashes." Driving under the influence can put many other people in danger – from the passengers in your vehicle to other drivers to pedestrians on the street. Intoxicated drivers can make hasty decisions, ones that can have life-changing consequences. If you were injured in an accident involving an intoxicated driver, contact our law firm for free. We'll let you know if you have a case and how we can help. 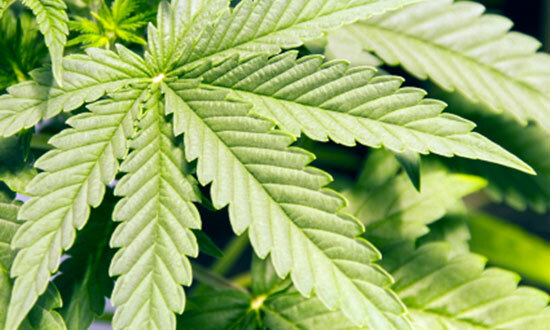 Source: “Easing of marijuana laws worries road safety advocates.” USA Today. Sept. 25, 2014.